Since 2012, the Florida Department of Environmental Protection South District has been an active member of an exciting partnership with the Imaginarium Science Center of Fort Myers. The Annual Solar Energy Cook-Off Challenge brings students from grades K-12 together to work in teams to design, build, and cook their original dish in their solar “cookers” that demonstrates the performance of their inventions. 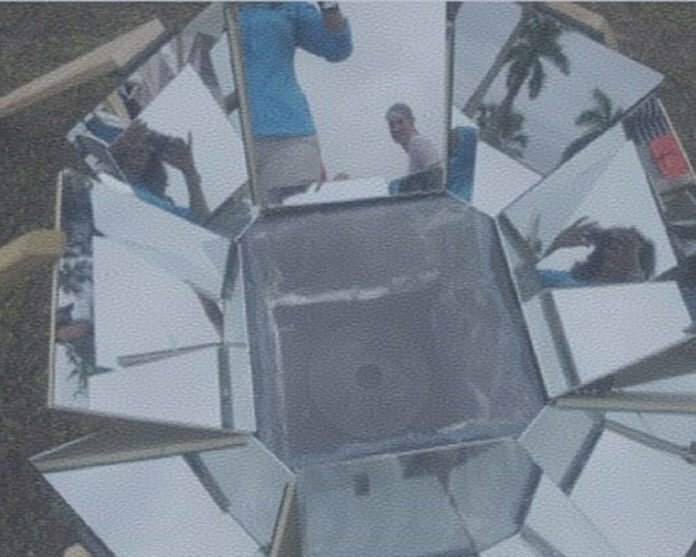 Each teams’ phenomenal creativity produces a variety of innovative technologies that involve extraordinary design of solar cooker boxes, Fresnel lens panels, and parabolic dishes. Every year over 500 students and their families attend. The students’ Solar Teams are judged by outstanding professional staff from the FDEP South District Office on Solar Cooker design, as well as on their culinary expertise! Each team discusses their cooker design with the panel of judges. 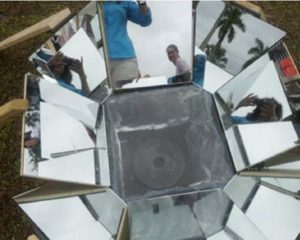 The student’s knowledge is tested as is their ability to explain how their unique solar cooker works. Judges award extra design points for original designs and creative use of materials such as recycled items. Click here to learn more about the Solar Energy Cookoff!